M.A.C. Stewart Plumbing is an exceptional plumbing company that always stood for excellence in service and quality. Our mission is to analyze our client’s home setting and understand custom requirement and work with our clients until they reach above their expectations. Our professionally trained plumbers will ensure that the job gets done efficiently and is in line with exceptional building standards. This is essential for us as we are committed to quality service and satisfaction is always our number one priority. We offer free quotes and consultations for your job, and you can easily schedule appointments with our plumbers directly to review your drawings. All our contracts are carried out with integrity and professionalism. Our promise to you is to have an effective communication, stay on budget, and exceed your expectations. 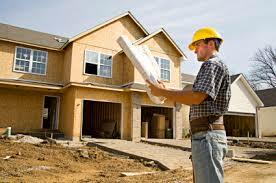 we make the plumbing system in your new home construction simple and easy. It doesn’t matter if you are building a brand new home from foundation up or remodeling an existing bathroom or kitchen, we have the proper team to assist in your project. We rough-in and finish the plumbing systems of approximately 140 homes per year in the GTA. This can only occur with a strong team, good management and well organized man power which we provide. The plumbing system in your home is designed to direct fresh water and wastewater to where you want them to go, without incident. You want wastewater to leave your home down a drain instead of overflowing into your home, and you want fresh water to come out of a spout rather than leaking somewhere within the walls. The plumbing trade has adopted a number of basic strategies and conventions to keep water controlled and go where we want it. It is a good idea to understand how your plumbing system works before tackling any plumbing project.